Registration Is Open for the 2016 HSI Conference! Get Ready for Spark 2016! Registration for this exciting event is now open! Register today and take advantage of our Early Bird pricing of only $179 for your conference registration fee. Added bonus! Book your room at the conference hotel and get 50 digital or enhanced student completion cards for your ASHI or MEDIC First Aid classes. * That’s up to a $422 value and it’s all yours for FREE when you reserve your room at our special conference rate of only $155 per night. 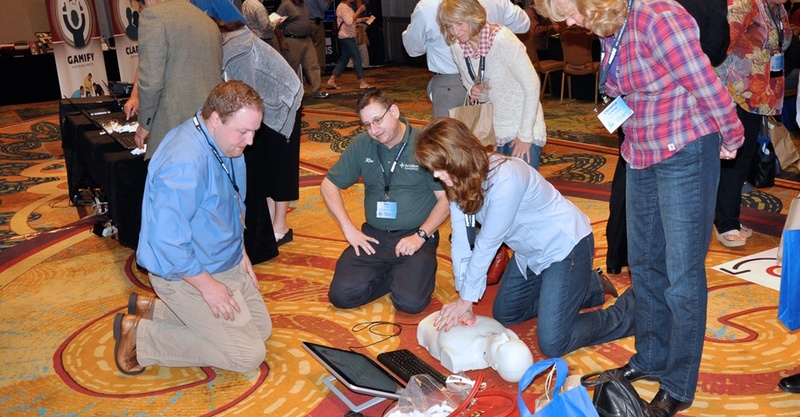 Three days of learning, networking, and fun await you in Phoenix! Just click the button below to register to join us for Spark 2016. Offer includes 50 ASHI or MEDIC First Aid digital (DC) or enhanced (EC) student completion cards. ASHI programs ACLS, PALS, EMR, and Wilderness programs are not included in this promotional offer. Your free DC or EC cards will be available for order after the conference and verification of room occupancy from the hotel. One set of 50 DC or EC cards per Pointe Hilton Squaw Peak reserved room; if sharing accommodations with another HSI conference attendee, only one attendee per hotel room will receive the free DC or EC cards.